The River Thames developed historically as a major communications corridor. In Roman times, Northfleet was the trading connection on the Thames and the Fleet river was used to connect Watling Street to the Thames. 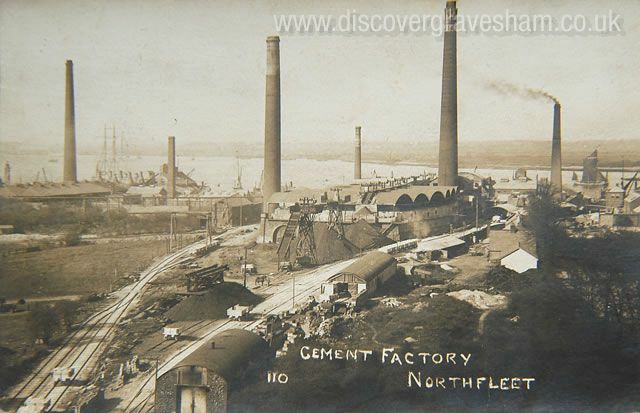 In 1796 when James Parker set up kilns along Northfleet creek to make his ‘Roman’ cement, it marked the beginning of the large cement works industry which developed along this stretch of the river. 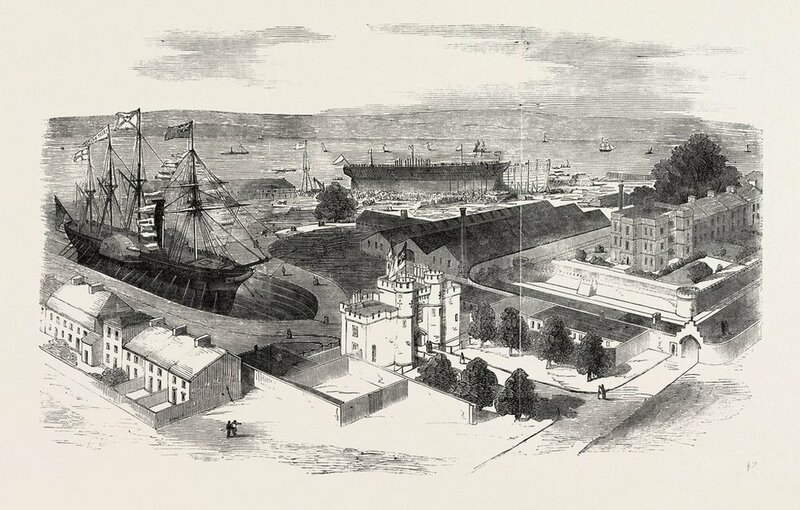 The map of 1860 (above) shows a hive of industry: cement works, wharfs, a brick field and ship building slips at the dockyard. The drama and industry of the ‘chalk hills’ defined the character of Northfleet as early as the Eighteenth Century. Similarly it is interesting to note the strong trading links with the low countries through the manufacturing of lime.